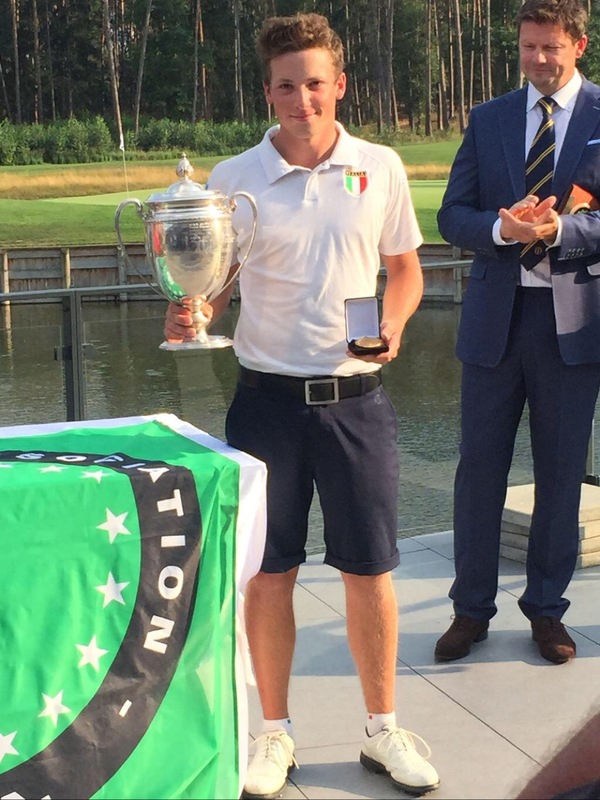 UPDATE – Italy’s Stefano Mazzoli (Monticello) won the 2015 International European Amateur Championship in Slovakia with a 269 -19 total after rounds of 65, 67, 69 and 68. 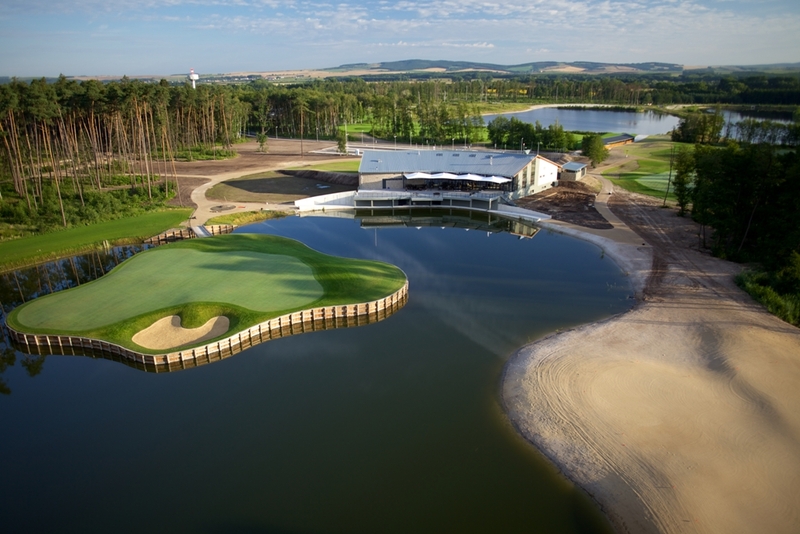 The International European Amateur Championship starts tomorrow at the Penati Golf Resort in Slovakia. Here’s all you need to know about this prestigious event that is run by the European Golf Association (EGA). This year’s championship will be the 28th in the history of a competition which was first contested in 1986. It has been hosted in 16 different countries to date, with Slovakia becoming the 17th this week. It has been played in Great Britain & Ireland (GB&I) on 6 occasions; the courses to host the event being Hillside (1991), Dalmahoy (1993), Celtic Manor (1999), Nairn (2003), Carton House (2012) and The Duke’s St. Andrews (2014) last year. Former winners who have gone on to enjoy successful professional careers include Stephen Gallacher (1994), Sergio Gracia (1995), Gregory Havret (1999), Carl Pettersson (2000), Rory McIlroy (2006) and Victor Dubuisson (2009). The International European Amateur is a 72-hole stroke play event. 18-holes are played daily over four days. 144 players will contest the Championship. All of the players must have handicaps of 0.0 or better with an entry ballot applied based on World Amateur Golf Rankings. The start sheet for Round 1 is here (as will be the draws for subsequent rounds) – 2015 International European Amateur Championship Draw. 44 players from GB&I are competing in Slovakia this week. With The Walker Cup fast approaching a strong performance here could clearly make the world of difference to the selection hopes of some of these players. The championship will be played on The Legends Course at the Penati Golf Resort. Penati is located in Senica, in the Zahorie region of western Slovakia, generally accepted as being the geographical centre of Europe. It was designed by the Nicklaus Design company and opened in August 2012. The course is set within an area of scots pines, silver birch, heather and benefits from a sandy sub-soil. It has moderately wide fairways, 57 deep bunkers and four lakes which particularly influence play on the holes near to the clubhouse. The course, from the championship tees, plays anything between 6,313m to 6,536m. It is either a par 72 (as it will be this week) or a 73. The key difference being the 15th hole which has 11 different tees – it is said to be the longest hole in Europe from the very back. The 15th is either played as a 493m par 5 or if stretched a record breaking 716m par 6. The other notable hole is the 18th, a 342m par 4 played to an island green right in front of the clubhouse (see photo above). The course is spacious enough to accommodate thousands of spectators. Whilst the International European Amateur will be the first major amateur competition it has held it is already the home of the D+D REAL Slovakia event, played on the European Challenge Tour (2014-16). The Legends was the first of two courses opened in 2012 at the resort. The Heritage Course, a 6,230m par 72, was designed by English architect Jonathan Davison of Create Golf. Near perfect golfing conditions, if a little warm, are currently being forecast for Senica. Weds 5th August – Partly Cloudy. Wind 4 mph (S). Max. 34°C / Min 19°C. Thurs 6th August – Sunny. Wind 2 mph (SW). Max. 36°C / Min 20°C. Fri 7th August – Sunny. Wind 6 mph (NW). Temp. Max. 37°C / Min 22°C. Sat 8th August – Partly Cloudy. Wind 10 mph (N). Temp. Max. 38°C / Min 20°C. The winner also receives an invitation to compete in next year’s Open Championship – in 2016 this will be held at Royal Troon in Scotland. Ashley Chesters used his this year to good effect finishing Tied 12th at St. Andrews. If you want to follow the EGA’s live scoring for the event here’s the link – International European Amateur Championship Golfbox Event Webpage. This entry was posted in European Amateur Champ. 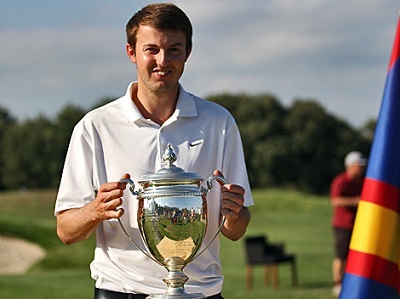 and tagged Amateur Golf - Other, Ashley Chesters, European Amateur Champ., Penati, Slovakia. Bookmark the permalink.